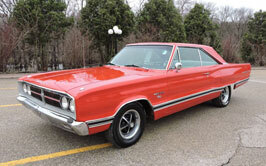 The surest way to know you aren’t being taken for a ride when buying a car online is to have a classic car inspection. Along with a bill of sale, an inspection by a reliable inspector is the single best way to protect the interests of a buyer who can’t see the vehicle in-person. Buying without seeing the vehicle first, also called buying “sight unseen” could cost you thousands. One of the most popular scams on the internet today is for a seller to list an ad for a car that he doesn’t actually own. This scammer will be unavailable to local buyers but very receptive to a long-distance transaction. They’ll go through many of the steps common to these kinds of sales, including arranging for a money transfer, but will drop off the map once it comes time for the buyer to pick up the car. Asking for an inspection will often halt these arrangements in their tracks, as the seller has no vehicle for you to inspect. Confirming the validity of the ad is often worth the price of an inspection alone, but it does far more than that. It will inform you of the condition of the car, not just what the seller is telling you, and will let you know what the car is actually worth. A classic car inspection entails calling a professional inspector and telling them what you want inspected and what information you’re hoping to get from the inspection. After agreeing on a price for their service, they’ll arrange to meet with the seller and the car you want inspected and create a report for your review. Local inspectors may require that you bring the vehicle to them for the inspection. Inspectors that are part of the Cars On Line Inspection Referral Program will work with you to make sure you get the information you want about the car, and will travel to the vehicle to perform the inspection. They’ll also fill out a detailed report that includes a wide range of detailed information. This information includes, but isn’t limited to: an inspection of the electrical system, body panels, cylinders, body mount, undercarriage and more. Take a look at a sample inspection report here! In addition to an evaluation of the car’s condition class, an inspector will complete a full appraisal as part of the inspection report. Note that the information provided in an inspection may vary dependent on the inspector. While there are plenty of inspectors that will be happy to take your money and give you their opinion on a car, you’ll want to make sure you’re getting the most out of the service. Classic Cars are a breed apart from modern vehicles, and even among classics, a Jaguar is a totally different animal from an Impala. You can shop around for a local inspector that has the specialized knowledge needed to make an accurate inspection of a specific car, or make use of a network like the Cars On Line Inspection Referral Service. Services like these have spent time developing the kinds of connections with inspectors across the country and can save you a lot of time by knowing exactly who to contact about a certain kind of car in a particular location. Most of the inspectors that are part of the Cars On Line Network are ASE Certified, meaning they’ve passed the exams required by the National Institute for Automotive Service Excellence. They own and work on classic cars every day, and have developed a proven and reliable track record to ensure that you can trust what they’re saying about the car. If you choose to find your own inspector, be sure to do some research regarding the inspector’s history with collector cars. Anyone can make use of the Cars On Line Inspection Referral Service to inspect vehicles within the Continental United States and Canada, even ones that aren’t listed for sale on Cars On Line.com. Click here for a list of states and provinces where inspections are available. Our network of inspectors specializes in collector cars and trucks, but also can inspect motorcycles, recreational vehicles and late model cars. Private buyers, dealers and even insurance companies are welcome to use the service. The first step to getting an inspection is informing the seller you’d like to have the car inspected. Most sellers will be open to arranging an inspection. A helpful and cooperative seller is a good sign that the car is legitimate. An uncooperative seller might be a sign of troubles to come if you move forward with the transaction. An uncooperative seller is one of the things an inspector will include as a concern on his report should you proceed with the inspection. Name, address and daytime phone number of the person selling the vehicle, or his agent. The year, make and model of the vehicle to be inspected and any special issues you want investigated. Your name, address, phone number and payment information. Once the order is placed, one of our inspectors will contact the seller and set up an appointment to do the inspection. Typically, you’ll know when the report will be available within 24 hours of placing the order, with the actual inspection taking place within a few days to a week depending on schedules and weather. After the inspection is complete, you’ll receive by e-mail a four-page report, complete with an appraised value and all of the photographs the inspector took when completing the inspection. You can option to have the report faxed or mailed as well. Your inspection report will include dozens of photographs taken by the inspector during the inspection, and is part of what any good inspection service should include in the price of the inspection. Photographs of all four corners of the exterior, interior, top, carpeting, dash, trunk, back seat, windows, chrome, metal panels, doors and frame rails, as well as the undercarriage of the car are included. 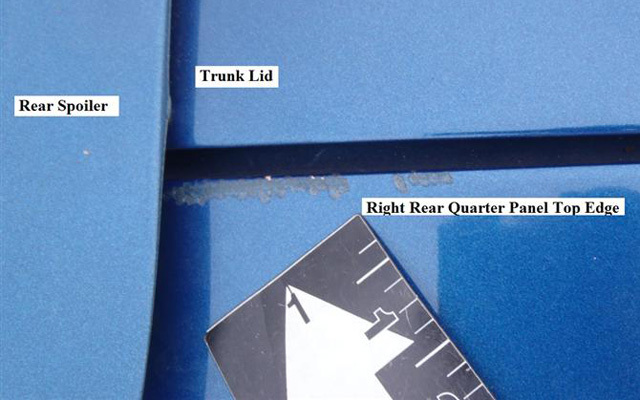 Inspectors are asked to take additional photographs of any concerns they may develop while inspecting the car. More important than asking the cost of an inspection is asking yourself what the cost will be if you don’t get one. The Cars On Line Inspection Service charges a $275 fee, which is a small price to pay to be sure of the condition of a car you’re ready to pay thousands for. This fee may be modified by mileage fees to be determined by the inspector nearest to the vehicle’s location, but any reputable inspection service like the one Cars On Line uses will notify the buyer of these additional fees before proceeding with the inspection. Cars On Line has been helping buyers get reliable inspections done for years. Some of the more interesting reports are added to a page of sample reports available for your review. In this report for a 1974 DeTomaso Pantera, the seller asked the inspector to pay close attention to the undercarriage. In the report for a 1937 Ford Street Rod, the buyer decided to pass on a follow-up appraisal after the initial condition class evaluation. The inspection of a 1947 Cadillac Convertible found that the left door did not stay open and that the door detent was inoperable. Almost every car looks good from 30 feet away, which is why relying on photographs can result in a disappointing purchase. Even with close-ups though, making sure the car is actually in the seller’s possession, and that the photographs weren’t just lifted from an old ad, can provide the peace-of-mind needed to make a collector car purchase memorable. CLICK HERE to read more How to Buy a Car Online! Interested in doing classic car inspections. Currently living just east of Minneapolis,Minnesota In St. Croix Falls Wisconsin..